Flames of Higher Transformation soon visibilizes for all hu-manity. Prepare in Consciousness for Mass Expansion. I take it to mean visible signs of the Transformation will be seen (in the sky?) by the masses, and soon there will mass consciousness expansion—more awareness by masses of people. This may be why Dolores Cannon, ascended master, has given the message that Quantum Healing Hypnosis therapists will shortly be much in demand. People will open to new understandings and whole new sets of questions. They will need healings to help adjust their bodies to new level of Light and DNA changes. Here Grandfather speaks of lights, beautiful colors, and other events that we’ve been seeing, and more. He predicted these things for 2014. Stabilization of release protocols is now complete. Preparation for “mass release” is now complete. 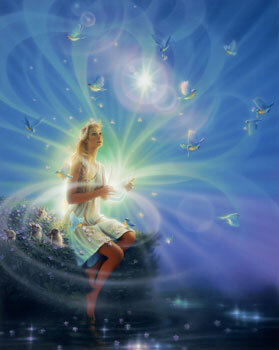 Attendant Gaia Light Influx is concomitant. Source: Stabilization of release protocols is now complete. Rosalie have you read about the visible cities of light possibly being part of what will be seen by the masses? Yes, I have. Thank you, Candace. I will include it in the upcoming post about the imminent changes.